The double rack corner door type Jackson Conserver XL2-C low temperature dishwasher can clean up to 74 racks per hour, using just 1.17 gallons of water per rack! Its fully automatic 90-second cycle and built in chemical pumps and priming switches ensure trouble-free, straightforward operation. The Low temperature two rack Jackson Conserver XL2-C features durable type 304 stainless steel construction with adjustable bullet feet. 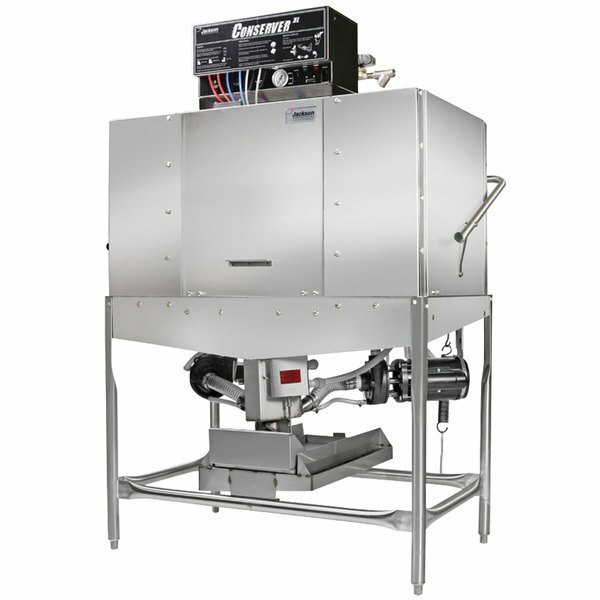 The Conserver XL2-C corner door type chemical sanitizing dishwasher utilizes a unique dump and fill design to assure washing with clean water for each cycle, while the self-draining stainless steel pump eliminates the possibility of detergent residue between wash and final rinse cycles. Save $1,150.28 with our Recommended Product! 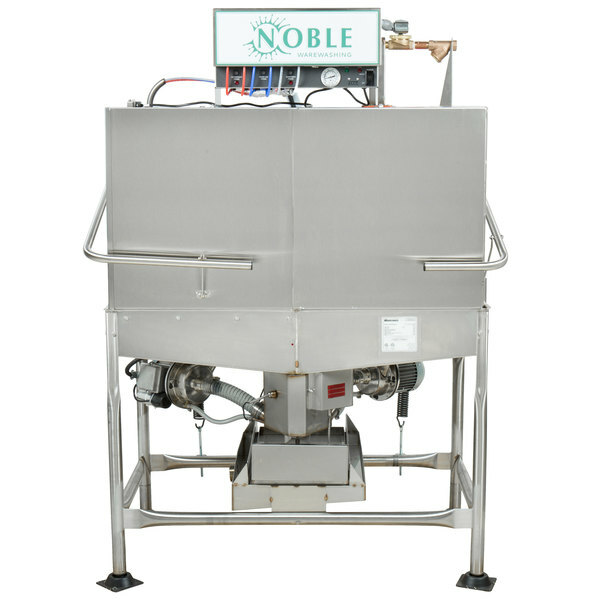 Try this Noble II double rack low temperature corner dishwasher instead! Able to clean over 70 racks per hour, this dishwasher is the perfect addition to any commercial kitchen. Not only is this Noble dishwasher a better value, a 2 year parts and 90 days labor warranty is offered compared to Jackson's 1 year warranty.